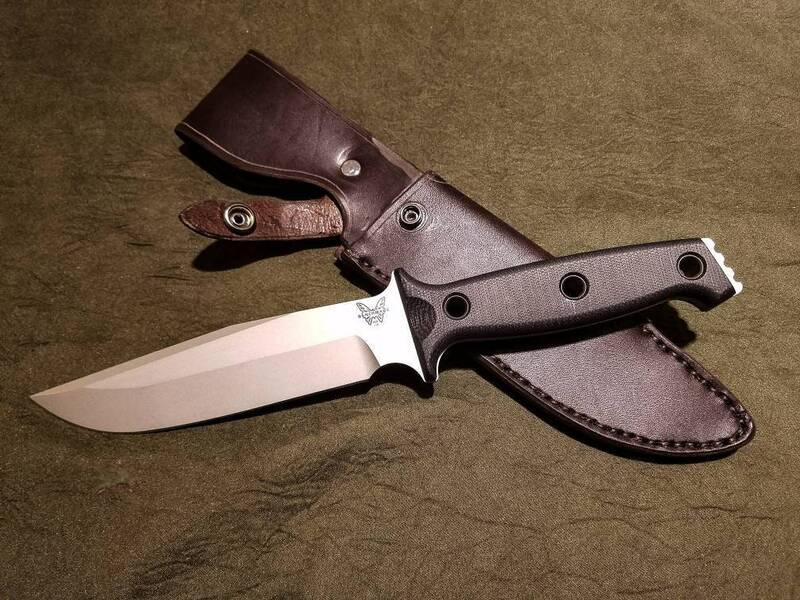 This is a handmade leather sheath for the Benchmade 119 Arvensis series knives. 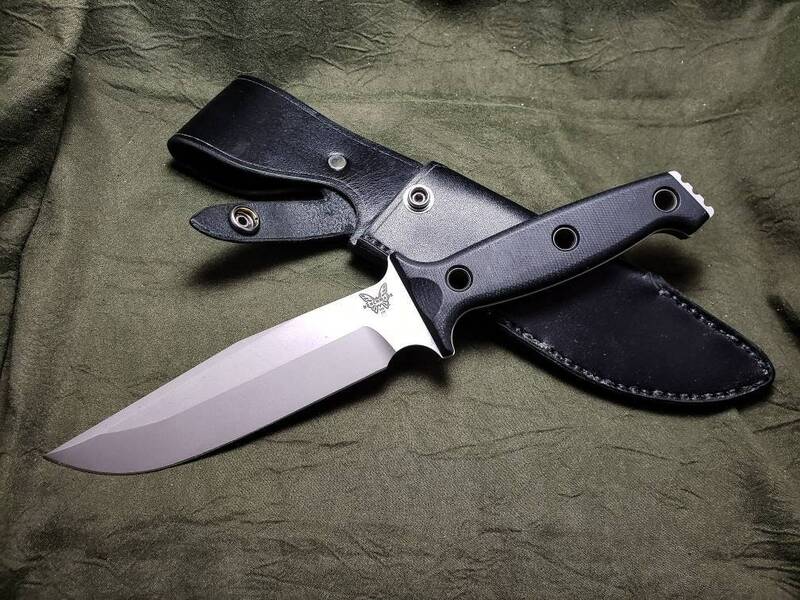 This sheath is an improvement over the thin kydex sheath that comes stock from benchmade. 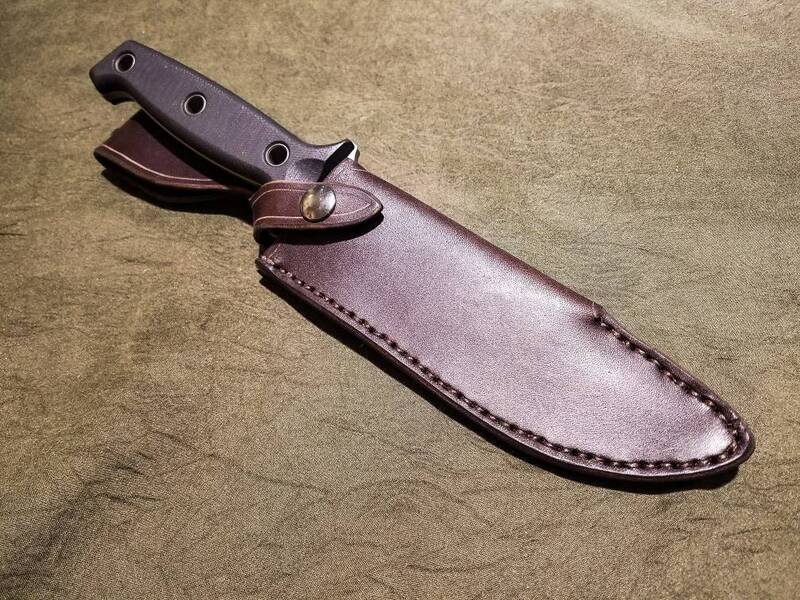 It is made out of 8-10 ounce latigo cowhide, (or 8-10 ounce vegetable tanned cowhide if the "natural" color is chosen) and features an integrated belt loop, and snap closure that loops over the guard to secure the knife in the sheath. As always, customization is available, feel free to message me. 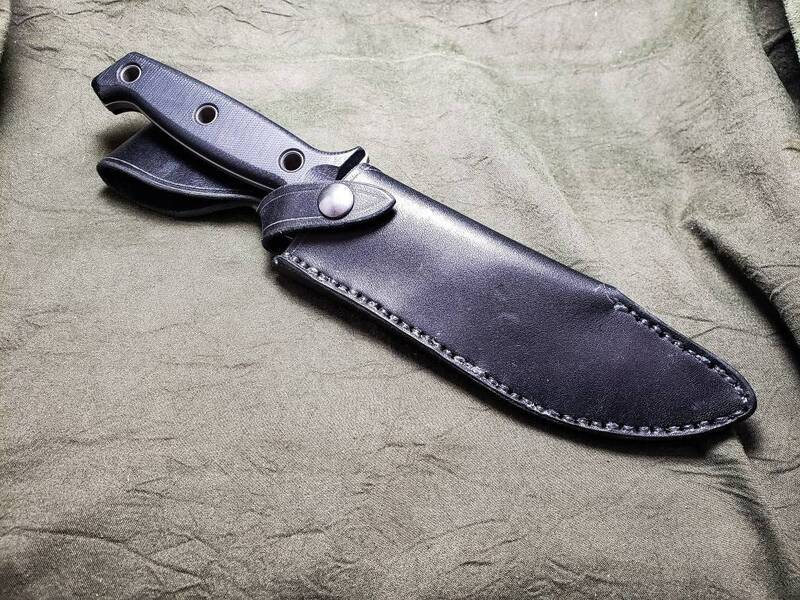 If you're looking for a Kydex sheath for the same knife, check out my other listing. Awesome workmanship! 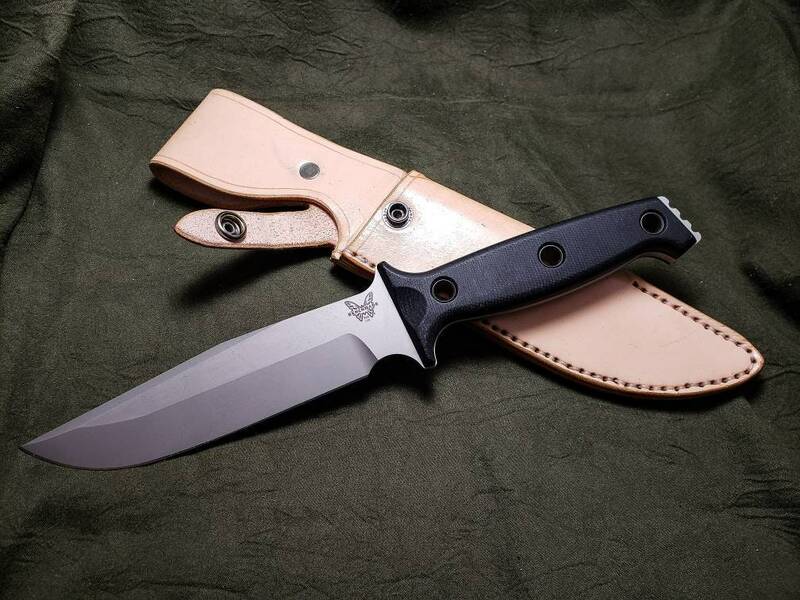 Great product, much better than what came with my knife. 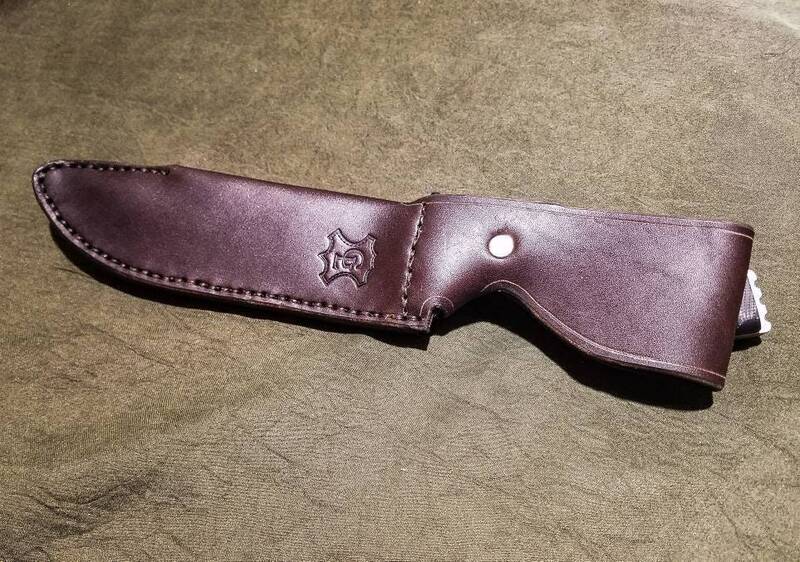 First impressions <24 hours: The leather is sturdy yet supple, with a distinctive leather "scent" but not overpowering like lesser quality leather. The belt loop is ample and feels well contstucted. 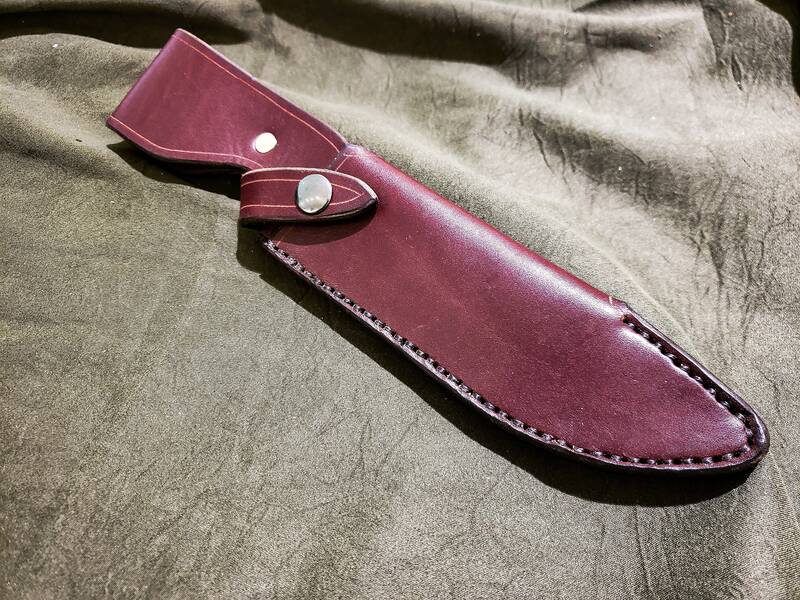 The cross hilt strap holds the knife securely in place and the sheath itself opens wide enough for a snug fit by gently sliding the blade into place. 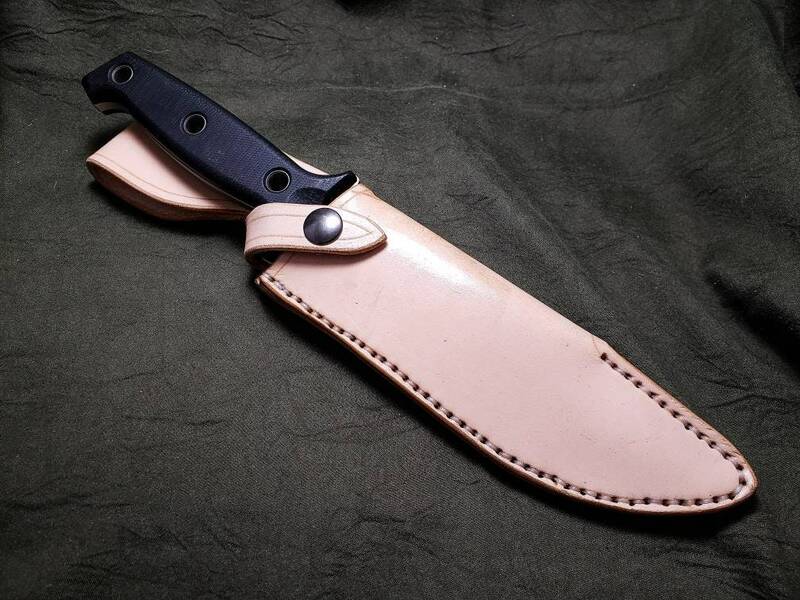 Upon shaking the sheath with moderate force I was happy to note that there does not appear to be any play between the knife and the sheath and equally important, there is no noise from the sheath whatsoever. 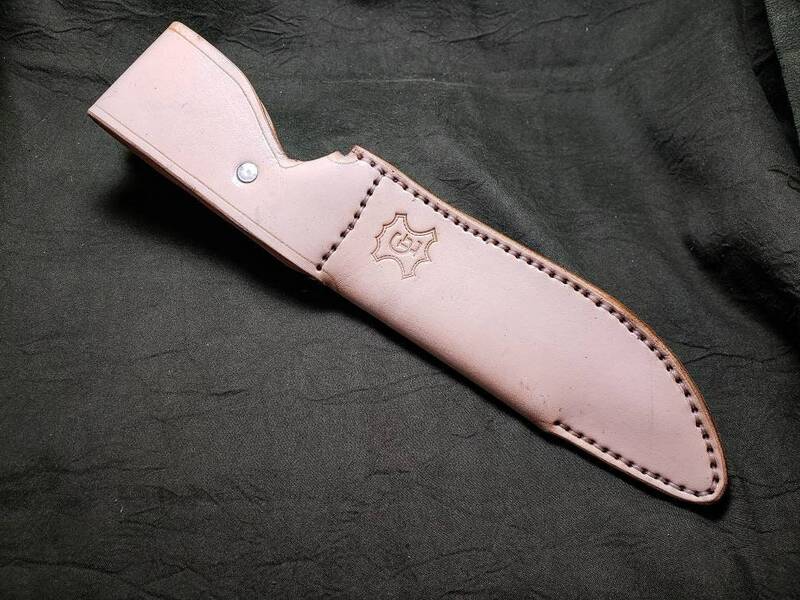 There are a few areas that may be slight imperfections, but they would not have any effect on the function of this sheath, insofar as I can tell. Furthermore, they would likely not be noticed by any but the most discerning eye. While still early, I am impressed thus far!